Continued from Rail Redux - Part 1: the value rail stations hold to communities, and a look at some exciting rail-related development projects in the works. What Factors Will Drive a True Rail Resurgence? 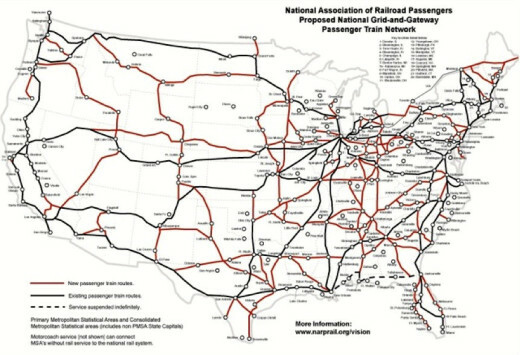 The National Association of Railroad Passengers (NARP) believes the current Amtrak system is skeletal at best. All routes shown would have at least two round trips daily to maximize utility and connection possibilities. Amtrak Acela train at BWI Airport Station between Baltimore and Washington, DC. Photo by Michael Renner; Flickr Creative Commons license. 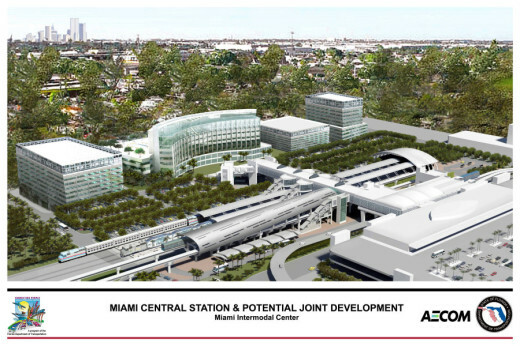 But the Miami Intermodal Center (MIC), a $2 billion ground transportation hub may be the game changer in air-rail connectivity. 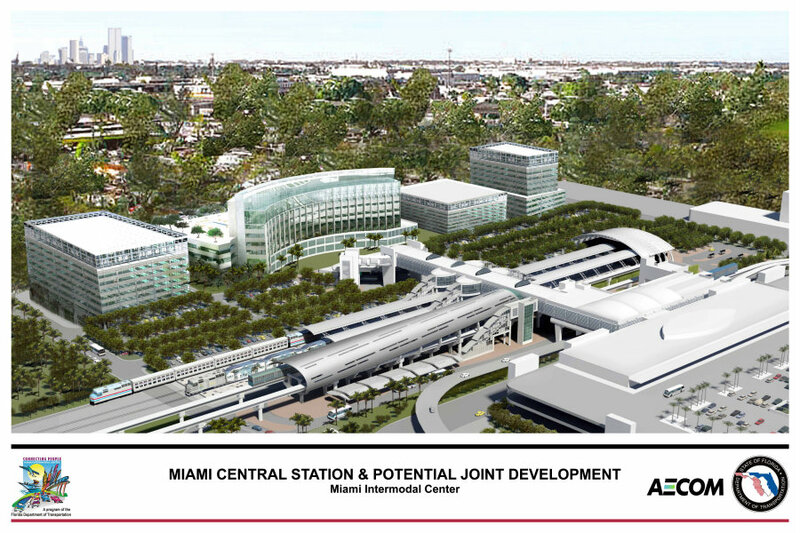 The Miami Intermodal Center is a program of the Florida Department of Transportation. The U.S. High Speed Rail Association proposed a National Rail System to be built in four phases starting with the largest cities in the busiest corridors -- the megaregions --- then growing to connect those together across the country. These rail infrastructure investments in tandem with real estate projects and transit oriented developments could drive a real rail resurgence and downtown revitalization. All Aboard Florida’s planned 32 daily train trips between Miami, Fort Lauderdale, and West Palm Beach represents a significant potentially groundbreaking investment in frequent, high speed rail. 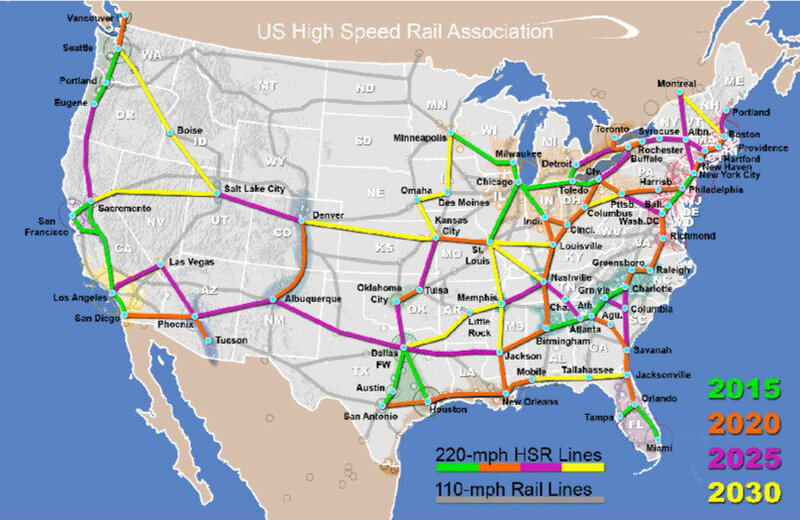 All Aboard Florida’s planned 32 daily train trips between Miami, Fort Lauderdale, and West Palm Beach represents a significant, potentially groundbreaking, investment in high speed rail. But will private rail’s first foray in America in 30 years succeed? 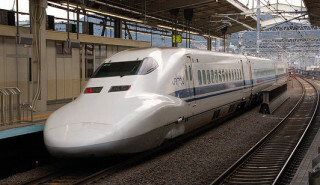 Editor's Note: perhaps holding even greater potential is the private Texas Central High-Speed Rail project, planned to connect Dallas and Houston -- 230 miles apart -- with Japanese Shinkansen-style bullet trains, providing 205 mph rail service and 34 daily trains each way ... operating by 2021! 9 For those interested, a detailed presentation about the Texas project can be viewed on YouTube. Photo of Japanese Shinkansen train by Marufish; Flickr Creative Commons license. 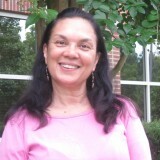 What’s the best way to travel the 262 miles from Washington, DC to Raleigh, North Carolina? The verdict on the Carolinian syncs with North Carolina’s plans to make train travel more reliable, convenient, and faster. In the works, a 90 minute reduction in travel time between Raleigh and Washington, and trains as fast as 110 mph between Raleigh and Richmond. Currently, eight trains daily (including the Carolinian) provide service to some 200,000 people annually from Amtrak stations in Raleigh, Durham, and Cary to stops in Greensboro, Charlotte, and 11 other North Carolina cities, as well as Florida and the Northeast. Durham and Cary have recently renovated and expanded their train stations. The Triangle stations are also slated to be part of a potential Southeast Corridor High Speed Rail. Raleigh is investing in a $73 million, 34,000 square feet intermodal station at the old Dillon supply viaduct building in the downtown warehouse district. 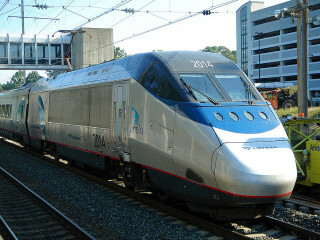 The station will function as the hub for Amtrak and the proposed high-speed rail route between Washington, D.C. and Atlanta. It will also serve as a transfer point for commuter rail, light rail, and bus transit -- and house retail storefronts and restaurants. For a good overview of Raleigh's Union Station project, take a look at the three minute video above. 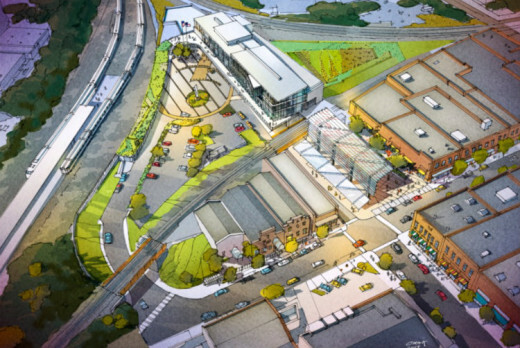 Aerial rendering of planned Raleigh Union Station complex. From NC DOT. Click on image to go to pdf for more detailed view of rendering. 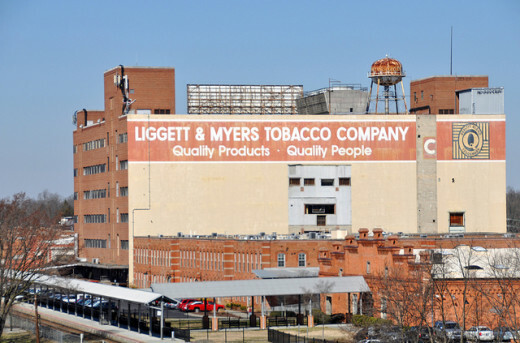 Downtown Durham is a mix of the bohemian, foodie, and art & culture scene, a smattering of new and restored residential and commercial real estate all anchored by the Durham Performing Arts and the American Tobacco Warehouse district. The Durham Amtrak station in the restored Walker Warehouse is part of downtown Durham’s homage to its tobacco, textile, and railroad history -- and ongoing revitalization. Durham's Amtrak station, opened in 2009, is housed inside the Walker Warehouse building (the right most portion of the former Liggett & Myers complex shown above). Photo by James Willamor; Flickr Creative Commons license. Cary, North Carolina, Amtrak Station. Photo by James Willamor; Flickr Creative Commons license. 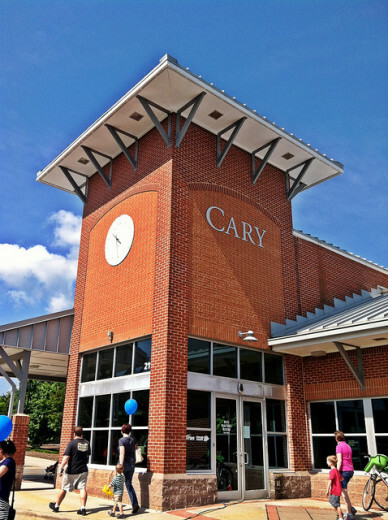 The Town of Cary’s 6,200-square-foot Amtrak station in the heart of downtown lies within walking distance of the town's arts center, downtown theater, and planned boutique hotel and urban park. The station’s role as a catalyst for real estate growth has potential with the development of a four story, multi-family, mixed used development across the street. 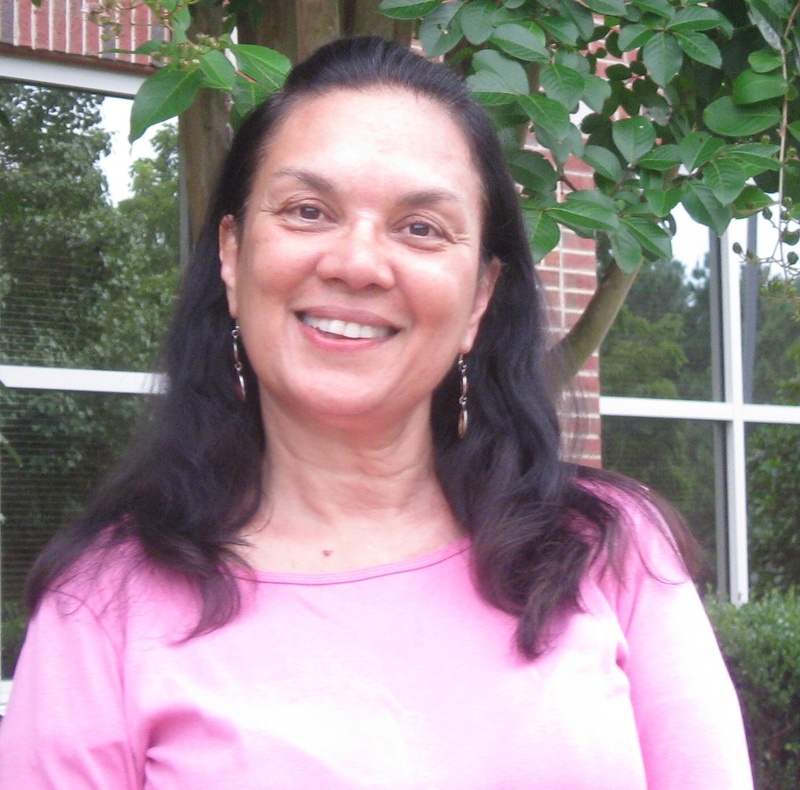 The project could spark a commercial revitalization of Chatham Street based on residents’ everyday needs -– grocery store, coffee shops, restaurants. Thanks to federal and state investment in rail infrastructure and local government and private investment in Main Street arts & culture, small business, and real estate, there is every indication that Triangle train stations are well positioned to serve as transit hubs and contribute to the renaissance of their downtowns.